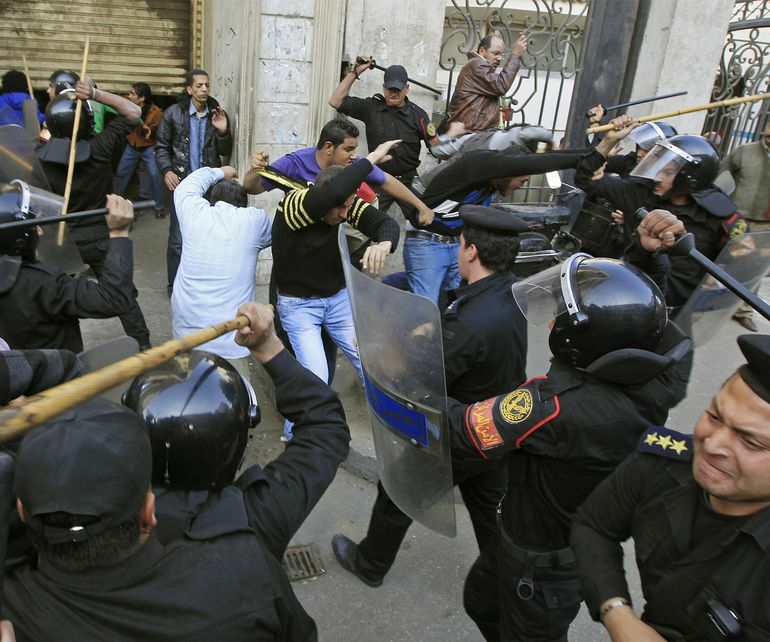 The Middle East has undergone major vicissitudes following the “Arab Spring” demonstrations. The Mideast is one of the most important regions in the world and the stability of which is mandatory to peace and stability in the world. Since 2011, the Middle East has entered a state of uncertainty with many conflicts in Syria, Iraq, Yemen, Libya and other states that are apt to witness internal wars. The Egyptians believe that the agreement signed with Greek Cypriots gives Cairo access to an area in East Mediterranean that is of particular interest for hydrocarbon companies since the discovery of the huge Zohr gas fields in 2015, while Turkey’s foreign minister Mevlut Çavusoglu contested the deal, declaring that Turkish Cypriots had been unfairly prevented from claiming their “inalienable rights to the natural resources” around the island, and revealed Turkish plans to begin exploration in the area. As long as Ankara does not recognize the demarcation of the border signed between Egypt and Cyprus in 2013, describing it as illegal, the region is once again turning towards a new approach of belligerence and rivalry. And the reason is gas politics. The same applies to the gas fields between Israel and Lebanon. Such a sudden escalation of tension between Egypt and Turkey is a sign of a blow to the efforts to abate any militarization of the Mediterranean Sea as this would be the ignition for other regional and international wars. On February 5, 2017 the Turkish Foreign Minister announced that his country plans to start oil and gas exploration in the Eastern Mediterranean soon in the areas at the continental shelf at latitudes 32, 16 and 18 degrees. The Turkish minister issued an implicit message to both Cairo and Nicosia, saying: “No foreign entity, company or even ship can carry out any illegal scientific research or exploration for oil and gas in the continental shelf of Turkey and the maritime region.” On the other hand, the Egyptian side sees its full right to defend its interests according to the agreement it deems perfectly legal. The Turkish government believes that the Greek Cypriot cannot unilaterally adopt laws regarding the exploitation of natural resources on behalf of the whole Cypriots. The Eastern Mediterranean is expected to witness wars on gas and oil between Turkey, Egypt, Israel, Lebanon, Syria, Cyprus and Greece in territorial waters. In July 2017, Ankara reacted strongly to the Greek Cypriots when they started to drill for gas. As a result, the Turkish army dispatched a frigate in the Eastern Mediterranean to monitor a drilling ship that is believed to have begun searching for oil and gas off in spite of Turkish government’s rejection, considering it as a hostile act. When Egyptian president Abdul Fattah Al-Sisi paid a visit last November to Cyprus, he had talks with Greek Cypriot officials on gas and oil resources in the region. Tensions since then started to amount, with both Turkey and Egypt blaming each other of interfering in the other’s internal affairs. It is expected that Ankara would resort to legal proceedings to nullify the agreement because of what it called “violation” of the continental shelf. Nowadays, a drill ship is exploring for oil and gas in the region. Turkey sounds unhappy with the agreement between Italy, Greece and Israel to construct a gas pipeline from East Mediterranean to Europe at a cost of US$6 billion. This would ignite another tension, with Italy being party of it. Why war is shimmering in the Mediterranean? Political differences are the preponderant factor determining relations between countries and intimidating to bring about instability and chaos to the region with acts of hostilities caused by race toward gas and oil reserves. The Eastern Mediterranean basin is one of the most affluent areas with natural resources, the most important of which is natural gas. An American study conducted in 2010 shows the gas reserves in this region are estimated at 345 trillion cubic feet. The region also contains 3.4 billion barrel of oil reserves. As long as there is no mutual cooperation between the countries concerned due to demarcation issue, any war would break out any moment and the region is becoming a time bomb. What do Ankara and Cairo want? 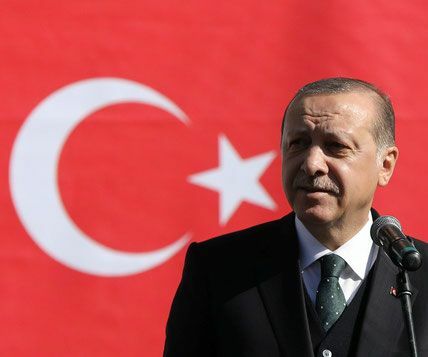 It is expected that Ankara would resort to legal proceedings to nullify the agreement because of what it called “violation” of the continental shelf. The Turkish moves are likely to disrupt the efforts of Egypt and Greece to conclude a maritime demarcation agreement. Gas diplomacy might seem germane regarding Israel’s ties with Arab neighbours. The state of suspicion between Israel and Arab neighbors would lead to skirmishes on this basin as it could be a strategic alternative to Russian Liquefied Natural Gas which is exported to Europe. This justifies why China and Russia are playing a pivotal role in Syria today which has a huge natural gas reserves in the Mediterranean Sea. 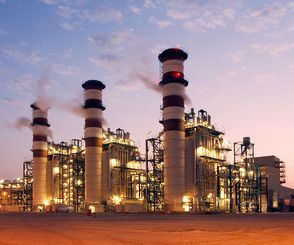 Egypt, Israel, Syria, Lebanon, Cyprus, Greece and Turkey are flaunting their emerging energy dexterity as a prospective weapon as each of them draws a plan to have the upper hand in the region and play a pivotal role in shaping the Middle East’s political scene. There is a high degree of trust in the Russian-Israeli relations, Valdai Club expert Irina Zvyagelskaya believes. “We have disagreements on Syria and the Palestinian-Israeli conflict. But we can maintain good relations despite these disagreements and understand each other’s concerns,” she said in an interview with valdaiclub.com. 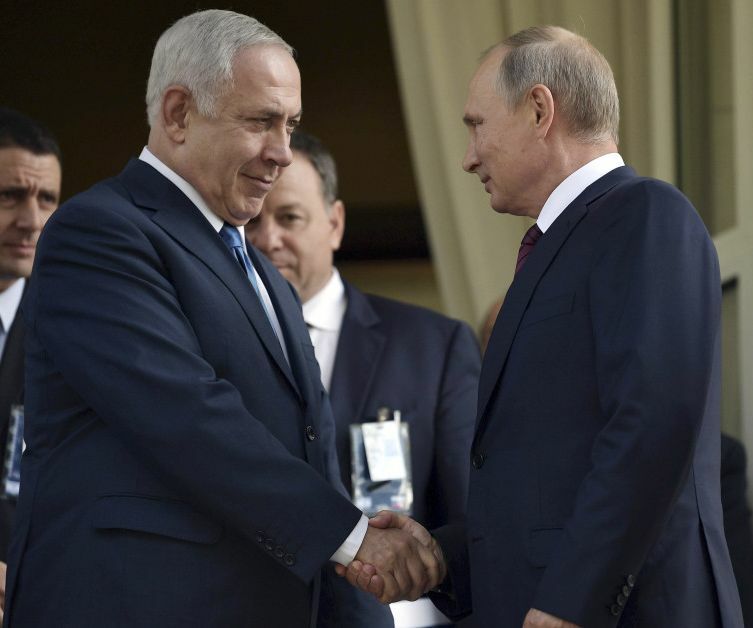 On January 29, 2018, Israeli Prime Minister Benjamin Netanyahu visited Moscow and met with Vladimir Putin. 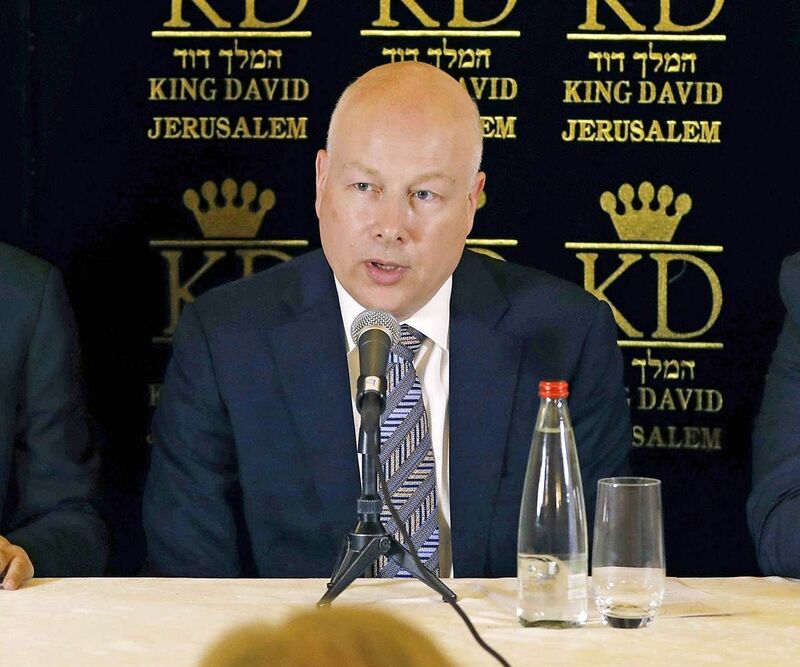 Netanyahu’s aide Zeev Elkin described the trip as “very important.” “As always, such visits are very effective and, as always, effectiveness is due to the fact that the content of the talks remains between the two leaders,” he said in an interview with the Israeli Russian-language Ninth Channel. 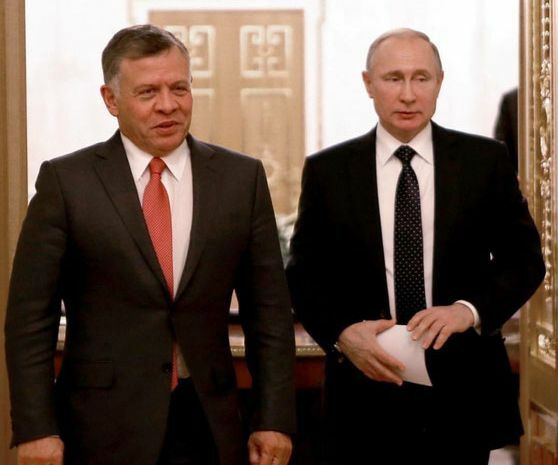 In turn, Russian president’s aide Yuri Ushakov said that the two leaders discussed bilateral relations and regional problems, including the Syrian settlement. Because of the Hezbollah presence on the Lebanese-Israeli border, Israel has been saying for a long time that Iran is in his backyard, Zvyagelskaya stressed. Moreover, Israel and the Islamic movement have reached a level of mutual deterrence, which is unique in such an asymmetric conflict with military formations of Hezbollah not being a regular army. According to Zvyagelskaya, “Israel’s top priority is its own security. It seeks to protect itself with methods it considers acceptable, and wants to have as few restrictions as possible in this regard,” she said. According to Zvyagelskaya, there is a high degree of trust in the two states’ relations. “We have disagreements on Syria and the Palestinian-Israeli conflict. But we can maintain good relations despite these disagreements and understand each other’s concerns,” she concluded. ey has sought to exploit the Qatar dispute with Saudi Arabia, the UAE, Bahrain and Egypt to grab a historic opportunity in the region. The dreams of a strong, regional Turkey necessitates great financial capabilities that cannot be achieved in light of the decline of the Turkish economy and its suffering from several crises, especially with its strained relations with the USA. Thus, Turkish President Erdogan found his relations with Qatar and Russia a decisive solution to Ankara’s financial problems. Turkey has maintained its footprint in the region and has expanded its influence in 2011, principally with the historical opportunity of the so-called "Arab Spring" in the Middle East, which was exploited by many countries including Turkey and Iran. As for Turkey, the Arab Spring has enabled political Islam Movements (Muslim Brotherhood) to jump to power in Egypt, Tunisia and Libya, and Ankara has become the major supporter of these movements. On the other hand, Iran has benefitted from the demonstrations in the Arab World to have a say in the region and to expand its influence as well. Turkey has intervened vigorously in many regional crises in order to achieve its objectives and interests in the beginning with full support from the United States of America with which it has strategic relations until both Washington and Ankara had taken a new approach after Turkey had chosen to form its foreign policy that serve its own interests, deviating away from the course that was drawn for the country for many years. Turkey's involvement in the Middle East has increased due to its effective use of soft power, such as the public debate between Erdogan and the then Israeli President Shimon Peres in Davos a few years ago, the flotilla incident, and Turkey's support for some Arab demonstrations, including those of Tunisia, Libya and Egypt as well as Syria. The Cold War has largely defined Turkey's strategic perspective vis-à-vis the Middle East in general and the Arab world in particular. Ankara's strategic perspective to limit the influence of the Soviet Union in the Middle East has been shaped. The Arab Nationalist trend was also a means of supporting the influence of the Soviet Union in the region. This view was formed according to the perspective of the Western Camp to ensure the flow of oil from the Middle East region in a safe way to world markets. At that stage, Turkey has adopted a Western Camp stand. Since the end of the 1980s, changes in Turkish politics have been clear as there have been international and regional transformation as well which had driven Ankara to change its foreign policy. This has affected Turkey's view of the Middle East after the end of the bipolar world in the aftermath of the Cold War. There were two political tremors that have affected the Middle East since 1980-1990s: The collapse of the Soviet Union and the Gulf crisis. Turkey was deeply affected by these tremors, and the Gulf War increased Turkey's interest in the Middle East. Everyone is aware of the importance of the region; mainly Iraq and Syria for Turkey. The Turkish government has started to consider how to develop a new vision that better serves its interests in the Middle East. Turkey has abandoned its defense policy after 2011, years after the adoption of "zero problems" policy. The godfather of this policy is Ahmet Davutoglu, former Turkish prime minister. Turkey is no longer waiting for the problems of the region to come to its borders, but rather it is acting to defend itself as the Turkish foreign policy stipulates. Davutoglu said on October 19, 2016: "As of now we will not wait for problems, we will not wait for the terrorist organizations to attack us, but we will attack the areas where these organizations are hiding, and we will destroy their bases over their heads and we will uproots of all parties supporting them." That is the policy adopted for their attack on Afrin and even beyond Afrin that would take them to Idlib and east to the Iraqi borders. Turkey saw the attack as the best way to defend itself and contribute to the formulation of new maps instead of being imposed on Ankara, especially after the attempted coup d'état in mid-July 2016. This has been the justification for the Turkish parliament to approve military operations outside Turkish borders, chiefly in Syria and Iraq for an additional year. First, the desire to open up new markets for Turkish weapons. Turkish military industries rose in 2015 to reach $4.3 billion, of which $ 1.3 billion was exported. Second, the new military tool aims to strengthen its presence in the Arab region and Africa by controlling the international crossings to protect its economic interests and national security interests from any regional or international interventions or sanctions that would be imposed in the future on Turkey as a result of its foreign policies. Third, the other motive is the desire to participate in the international coalition against terrorism not only to counter the threat of terrorists near its borders, but to stop the expansion of Kurdish movements in Iraq and Syria for fear of independence. Moreover, Turkey has the intention to besiege its enemies in their areas of influence and to cut off all logistic support for them that some regional and international powers are extending. Besides, Turkey is keeping abreast regional and international moves towards the region in order to limit its future negative repercussions on Turkish power, particularly in light of mounting Iranian and Russian dominance. These Turkish accounts would put Ankara in the circle of friction with Russia and the US at a time the world is passing through a new type of Cold War and the Middle East is passing through its Cold War as well with many alliances and axes being formed. On the issue of the Kurds, Turkey has a spat with Washington regarding the future of the Kurds in Syria, Iraq, Iran and Turkey. While Ankara is moving to prevent the Kurds from strengthening their power and influence, especially in the areas near Turkish borders, Washington regards them as a key ally in its strategy to counter extremism and terrorism; this justifies why the Americans provide the Kurds with weapons and help train them. It is hard to believe that Western powers could ever have expected the invitation extended by Moscow to concerned parties to attend the Syrian National Dialogue Congress in the Russian Black Sea resort of Sochi. 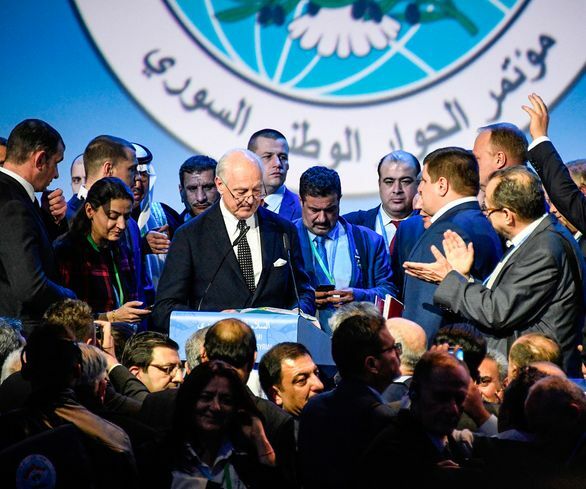 Sochi has become the hottest topic for Syrians and regional powers, along with the Astana conference and the UN-led Geneva gathering, both of which are of equal importance in the view of Russia. 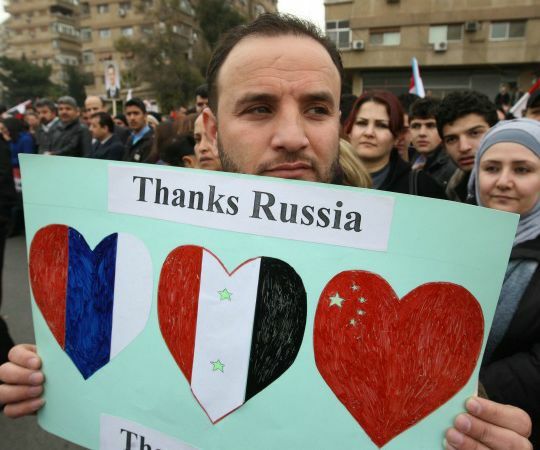 However, suspicion has marred most Russian attempts to find a political solution to the Syrian conflict. That is, in great part, due to the negative influence of Western media reports on Russia’s role in Syria and the wider Middle East, often accusing Moscow of attempts to destabilize the region. Even now, the US State Department describes Sochi as “a one-time solution,” and it is close to impossible to predict the outcome of the talks. More than 1,600 delegates will attend the Sochi congress, each calculating the risks and benefits of this ongoing, multiplayer geopolitical chess game. Russia, US and other regional players are concerned now with the post-Daesh and Al-Nusra era, and with the threat of global extremism expanding from Syria and Iraq. The Afrin operation prompts all parties to offer a clearer definition of the division of areas of influence and control in Syria in order to implement a realistic plan that goes beyond strategic and idealistic ambitions to determine the future of Syria. “Operation Olive Branch” could not have been launched without the approval of Russia, which controls Afrin’s airspace. The operation shows how deep the rift between Turkey and its ally, America, has become, as Turkey has effectively engaged in a battle with US-backed Kurdish militias. Through “Operation Olive Branch,” Turkey is sending a message to the Americans and Russians that it will not allow any threat along its borders. The military action is complicating an already tense and unpredictable situation. Regiments of the Free Syrian Army, who receive military aid from the US but are supportive of Turkey, are now reportedly threatening to combat US forces in Afrin. The more awkward that situation becomes, the more it benefits the Damascus regime and its allies. Russia — or Vladimir Putin’s Russia as it effectively is now as one man holds the strings of the country’s military and political institutions — is not, as some Western media depict it, “playing both sides.” It is, like all the players in Syria, trying to see how best to serve its national interest, fearing that if the Americans support the Kurds in Syria and play on existing ethnic tensions there, Washington will then use the Kurds to oppose Russian interests in Syria. 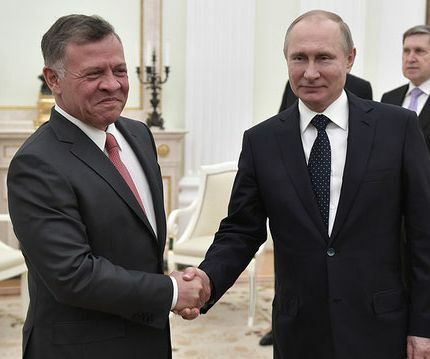 Moscow is seizing every opportunity to strengthen its position and role in the Middle East. Russia’s alliance with the Syrian state and the Syrian army is strategic; Moscow will do its utmost to deny any country any influence on this relationship. In politics, there are no ethics, no honesty and no sincerity; just interests. That is true of all countries in Syria. Tension between Ankara and Washington has escalated in the past few days: Turkey has threatened to extend “Operation Olive Branch” as far as Manbij, which is located north of Aleppo and lies between Afrin and the Kurdish autonomous region, home to a regiment of American soldiers advising the Syrian Democratic Front (SDF). US President Donald Trump’s call with Turkish President Recep Tayyip Erdogan did little to calm the situation. Trump warned Erdogan of the “growing risk of conflict” between the two nations and reportedly promised to stop supporting the Kurds. Once given, the promise was almost immediately broken. Besides, it seems neither promise nor threat will dissuade Turkey from its course in Afrin. This plays into Russia’s hands. Russia is seizing every opportunity to strengthen its position and role in the region. Russian tactics permit Moscow to stay above controversies in which Washington and even Turkey have become embroiled, enabling Russia to take the initiative in a number of activities in Syria. The Afrin issue, then, could shape Syria’s future and the future of Turkish-American relations. The Turkish military operation in Afrin in northwestern Syria has started, and future military operations are likely in Manbij and as far as the borders of Iraq as Turkey strives to expel the Kurdish People’s Protection Units (YPG). President Recep Tayyip Erdogan considers this organization to actually be the banned Kurdistan Workers' Party (PKK), regardless of the name it is given by the Americans. Following the US announcement that it would form a border force of 30,000 fighters led by the Kurds — which was swiftly retracted — Turkey accused Washington of trying to protect the Kurdish people in order to divide Syria. Ankara viewed this number of fighters, which were to be led by the US-backed Syrian Democratic Forces, as an existential threat to its security and stability and a step toward a future Kurdish state. Russia temporarily benefited from the US-Turkey conflict over the Kurds, as it had from the differences between Ankara and Moscow over the Syrian government, when Russia continued supporting the regime while Turkey backed the opposition. After the downing of the Russian jet fighter in 2015, Russia successfully used the Kurdish card against Erdogan to acquire more political concessions. There are two likely scenarios for the war in Afrin and the rest of the Syrian territory that the Turkish army is eyeing up: The first is a large-scale operation aimed at undermining the Kurdish control of Afrin. This would be similar to Operation Euphrates Shield in terms of preparation, assault and the participation of several departments of the Turkish army, as well as Free Syrian Army fighters. The second is a limited operation aimed at taking certain areas from the hands of the PKK in order to keep its fighters away from the Turkish border. This requires isolating the Kurds, cutting their communication with the eastern cantons and preventing them from accessing the Mediterranean. International players are making their final moves on the country’s chessboard as Turkey aims to oust US-backed Kurdish fighters from northwestern region. There are many challenges facing the proposed Turkish plan. The first is the difference in Afrin’s terrain from the areas taken during Euphrates Shield, making this campaign more difficult and complicated. Moreover, Ankara is not satisfied with the long-term positions of Moscow and Washington. Ultimately this is a Turkish battle — or rather a battle for Turkey itself — but it will also affect the course of events in Syria. The Russian Defense Ministry said on Saturday that US “provocations” are a key factor that have complicated the situation in northwestern Syria and prompted Turkey to launch its military operation in Afrin. Russia labeled the US as irresponsible and said its actions would pose a threat to the peace process in Syria. The Kurds blame Russia for betraying them, but they were trying to milk two cows at once as their relationship with the US threatened Russian interests and its project for the stabilization of Syria. US policies towards the Kurds are also a direct threat to Turkish national interests, with Kurdish separatism a cause of deep concern in Ankara. Additionally, Kurdish ambitions, fueled by the US, have become a threat to the integrity of Syria and the process of reconciliation. Thus Moscow found itself on the same side as Ankara. Before the Afrin operation, Russia and Syria both expressed their concerns, but now it is clear that the move was silently approved by Damascus and Moscow from the beginning. On Tuesday evening, Vladimir Putin spoke on the phone with Erdogan to discuss the situation. The sides expressed a solidarity and common vision, vowing to continue working to resolve the crisis based on the principles of preservation of territorial integrity and respect for the sovereignty of Syria. The situation in Afrin is changing not only the regional framework, but also the global one. The move by Turkey — a NATO member with close ties to Western nations — against a group backed, equipped and financially supported by the US takes them a huge step away from their former allies. This demonstrates Ankara's independence and alters their former path towards integration with the West. The ongoing situation will bring Moscow and Ankara closer to each other, pushing them to forge a more solid alliance. The West is unlikely to be able to stop Turkey from realizing its plans in the region, as any confrontation would definitely not play into their hands. Despite claims the assault on Afrin may harm Syria, Turkey insists its operation is limited and will not affect the integrity of its neighboring country. However, the numerous interventions from various regional and international players have complicated the political and military scene in Syria after a glimmer of hope had started to appear at the end of a long, dark tunnel. 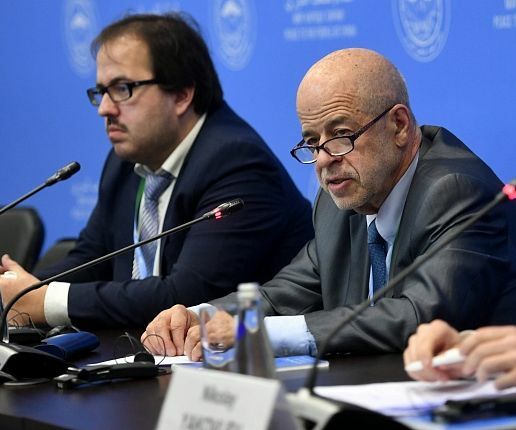 The international players are now making their final moves on the Syrian chessboard ahead of any peace talks aimed at discussing a political settlement, draft constitution and interim government. During his 30th of January participation in the opening ceremony of a new bypass road that links Binyamin block settlements in the West Bank with the city of Kfar Saba inside Israel, Mr Netanyahu the Prime Minister of Israel spoke about the “ Jewish return to their homeland” by building and creating roads and routes of transportation” Here in the heart of Israel as he said”. Besides this kind of well known repeated statements about the ongoing process of creating the” Greater Israel” on the expense of the Palestinians, Mr Netanyahu presented a new theme concerning his government aim “ To cancel and simply dissolve the concept of the periphery”. The meaning of that of course is “ dissolving the Palestinian country life”. In its path towards an Israeli one state solution, today Netanyahu government feels that it succeeded in taking over Area C consisting of two third of the West Bank in addition to East Jerusalem( continuously expanding in the expense of West Bank) and Hebron 2( The Old City of Hebron that is under Israeli full control), and the Jordan valley. 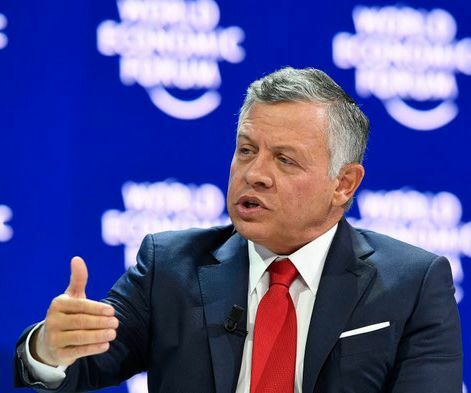 That all besides moving the Palestinian Refugees issues out of the table, while also it got earlier a free hand in regard to its policies towards the Palestinians indigenous population inside Israel. For that government the next ongoing step is about eliminating the Palestinians villages, by the two means of demographic elimination, and the landscape elimination. Worthy to mention here that these villages already lost their agricultural lands located in area C, or behind the separation wall. There are different examples regarding the attempts for demographic elimination. One of the last examples is the ongoing voting in the Israeli Knesset for ousting Kufr Aqab, and Shu’afat Refugee Camp from Jerusalem, and the second is about the settlers attacks against the Palestinian villages in order to frighten them and push them to leave. One of the last examples regarding this is the settlers attack against Azzoun village close to Qalqilia leaving 60 people injured last month and the attacks on Hizma village near Jerusalem by the Israeli army including putting gates on its entrance. All this following the continuous evacuations of the Palestinian Bedouins from Area C, and preventing the Gazans to build or even to cultivate their lands that are adjacent to the borders with Israel. These demographic elimination acts add up to the changing and the elimination of the landscape. 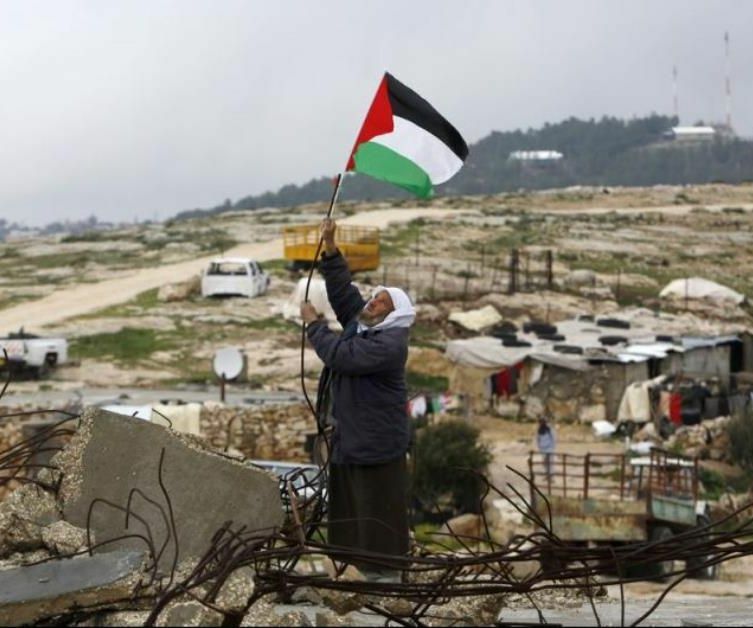 Besides them the landscape is changed also by the separation wall, cutting the trees, expanding the settlements, preventing people from cultivating their lands in some areas, creating bypass roads, and other means. Now Mr Netanyahu came to tell openly what was the original aim of all of these steps. The aim was not security of the Israelis, but in the contrary: Security was used as a justification to expand the settlements infrastructure in the path of Israelizng the West Bank and to make it follow East Jerusalem in this regard. Other charicteristic in Mr Netanyahu speech is that he talked about the periphery as a landscape, forgetting to mention the indegenous people who live in that landscape. For him neither these people, nor their rights count. For him they are just an obstacle that a solution might be found to it by either removing them from one location to other( as happening with the Bedouins), or by secondly evacuating them(Formerly Al Aqaba village close to Jenin and the old cities of Jerusalem and Hebron as examples, and currently Sosia village close to Hebron as one example.Finally and thirdly by simply destroying the villages as happened with the three villages of Yalo, Emuas and Beit Noba in 1967. The other charecteristic of Netanyahu statement is related to the racist concept of considering Palestine as a barren land (from the civilized). Therefore it is the responsibility of the civilized to “ modernize” it by “ dissolving the periphery” and getting rid of the non-civilized through this process. As such, Israel looks to be already crossed the threshold between compromising the fate of the Palestinian occupied Territories through negotiations, and annexing them to Israel.Today Israel acts on the basis that East Jerusalem and West Bank are integral parts of Israel. In this regard the difference between East Jerusalem and West Bank Israeli politics is in that Jerusalem is annexed officially to Israel, and therefore the Palestinians of East Jerusalem carry an Israeli blue identity cards that give them the status of “ Jordanians citizens residing permanently in Israel”, while the West Bank people do not have such ID’s. Besides this difference the rest of the policies are the same towards both West Bank and East Jerusalem Palestinians. Confronting these kinds of moves will require another kind of policies that are bottom up rather than top down, and that is by helping the Palestinians to create their facts in the ground, and standing strongly( in the ground, and not by only statements) against the Israeli steps of Israelization. The calls for the sides to go back to negotiations only while Israel is grabbing Palestine in the ground is certainly a very bad policy. Instead of moving forward it gives “ longer time out to Israel” to complete the Israelization process. Further than that association agreements with Palestine, more recognitions of it, and more elevation of it in the international arena is badly needed as a complimentary to building Palestine in the ground and not as a contrary to the latter. The Kurds after their setbacks in the aftermath of their independence referendum of 25th of September in 2017 in Iraq are facing another tragedy, but this time in Afrin in the western part of Kurdistan called Rojava. In reaction of a news that the United States intends to create a regular army or border guards strong of (30,000) soldiers in Syria, half of them from PYD forces to protect the border with Syria and Iraq from returning of Da’esh (ISIS) to Syria, led the Turkish troop movements. On Sunday, January 21, the Turkish army’s land operations backed by pro-Turkish Free Syrian Army (estimated to be 25,000 soldiers declared by SFA) are participating in the operations and together control 4 Kurdish villages in Afrin and confirming that they have entered Afrin. The YPG stated that they have pushed back these forces in some districts and stopped their advancement into Afrin. Media sources are talking about Syrian government forces agreed YPG forces from “Sheikh Maqsoud” neighbourhood in Aleppo to pass through their controlled areas to Afrin. The Turkish Prime Minister announced that Turkey is aiming to create a “Security Zone” 30km depth in Afrin. Erdoğan declared that his goal is also to return back 3.5 million Syrian refugees to Syria through this operation. All this is happening under a relative silence and acceptance of major players in Syria. Kurds believe that their friends have been “disloyal” to them, they gave a “green light” to Turkey and turned their back to Afrin and allowed the civilian population to be terrorized by Turkish bombardments. Despite non-stop bombardments of Afrin, still the Kurds are resisting. General Joseph Votel, the head of the Central Command of the US army declared that Afrin is not in the framework of their operations and is not of a great importance to them. Russia withdraw its forces from Afrin. There is a Turkish, Russian and Iranian understanding on these operations. Turkey has proven throughout the history its hostility to any Kurdish aspirations in Syria, in Turkey and elsewhere. Turkey does not want the emergence of a Kurdish federal entity on their border sympathetic or an extension to Turkish Kurds and Russia and Iran are concerned that an intensive arming of the Kurds are compatible with the new strategy of President Trump against the regime of Bashar Al Assad. US Secretary Tillerson and Pentagon officials declared that they take into consideration the Turkish concerns and they do not support PKK. The Turkish- American relations are at its worst. There is a serious tension in relations between Turkey and several European countries such as Germany, France, Netherlands, Austria, Belgium, Sweden, Denmark, Cyprus, Greece, UK, etc. The deterioration of Turkish-Israeli relations and the antipathy between Erdoğan and Netanyahu also has additional implications on Turkey’s regional and international policies. Diverse statements came out from Moscow; Russian Ministry of Defence considers Washington for being irresponsible in undermining the peace process in Syria in which Kurds are part of it and that US provoked Turkey by creating an army for the Kurds and armed them in violation to the unity and sovereignty of Syria which led to a violent reaction from Turkey and started its operations in Afrin. The Kurds do not see any justification for the Turkish aggression on Afrin and the Kurds of Syria. The (PYD) officials reiterated that they had not attacked Turkey, but in contrary Turkey since more than five years has been attacking the Kurds of Syria including the localities and orchards of Afrin. The Kurdish National Council of Syria (ENKS) a rival political formation to PYD regrouping several political parties and organisations of Syria, also strongly condemned the Turkish shelling of Afrin and other Kurdish areas and asks PYD for Kurdish unity, political reforms in Rojava, and calls the international community to act urgently to stop the Turkish aggression in Afrin and protect the civilian population, who will become the victims of such an aggression. Observers believe that PYD has made ditches and tunnels and would use the Bosnian methods of city wars as PKK did it in Diyarbakir, Cizire, and Širnax in Kurdish cities of Turkey. On the other hand, Turkey seems to have chosen the Sri Lankan way of dealing with “Tamil Tigers”, to crash utterly its Kurdish opponents of PYD in Syria and PKK in Turkey, and refuses the Spanish-Basque, or Northern Ireland or Colombia-FARC peaceful approach to solve the Kurdish problem be it in Turkey or Syria. Kurds of Syria repeatedly reiterated its intention of good neighbourly relations with Turkey and that they have suffered from historical injustices in Syria and have no plans to carry out any hostile activities against Turkish territories, but Turkey considers them more as an offspring of PKK. The Turkish attacks are widening in its scope in targeting both the Syrian Democratic forces and the civilians in Afrin, Kobani and beyond; meanwhile, the Turkish army is massing more of its troops with its tanks, artillery and another heavy armament on border areas of Afrin. 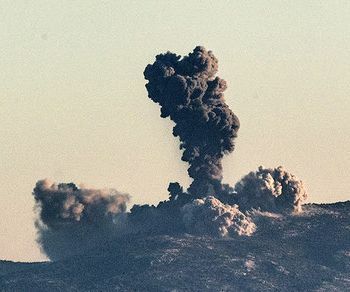 the Turkish army has been shelling and bombing by artillery, mortars, and rockets a score of Kurdish villages and districts in Afrin and even some towns of Kobani as well as the triangle area between Turkey, Syria, and Iraq in Malikiya district in recent days. Afrin is inhabited by almost million people and it is a beautiful fertile and touristic Kurdish city, some 35-45km faraway from the Mediterranean sea, which gives it a special strategic position that makes Turkey nervous about Kurds to get one day a border with the Mediterranean sea providing the possibility of exporting Kurdish oil through the sea and might be used not only as a transport way for Syrian Kurdish oil but also Iraqi Kurdish oil and gas replacing the importance of Ceyhan pipelines. Syrians in general and the population in Afrin are fearful that their region’s demography will be changed and becomes another “Askandaruna” occupied by Turkey since 1930s. 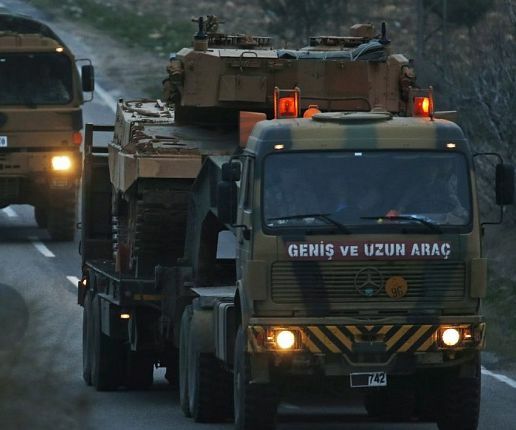 Turks have sent (20,000) soldiers with heavy armament to the borders of Afrin from the north in addition to the Euphrates shield of (22,000) from the West composed mainly of pro-Turkish Syrian Free Army. 13 military formations among them Forces of Sultan Murad, Muhammad Al Fatih and the army of Al Nasr, etc...are ready to participate in the battle of Afrin. The attack on Afrin is to separate Afrin from Qamishlo/Hassakah and Kobani, but also to take over the oil fields, the fertile area of Eastern Euphrates and the Tabqa Dam of strategic importance. At least half of the oil fields of Syria are located in Kurdish areas and controlled by PYD administered cantons. On another hand, Turkey tries to separate the Kurds from border cities of Northern Kurdistan (South East of Turkey) which are situated along the border with Syria from Sirnax (Shirnakh) province to Shanli Urfa populated by a Kurdish majority and looks at Afrin and these border areas as a possible logistical way for the Kurdistan Workers Party (PKK). The coalition forces and many others do not share the Turkish opinion that Kurds of Afrin or of Syria have been a national security threat to Turkey. US armed and trained the PYD and SDF. The Kurds are the most reliable and efficient allies on the ground for the US in Syria. Lately, US expressed even more openly political support for the participation of the Kurds in Geneva meetings. Turkey used its veto against the PYD participation and accepted the ENKS delegates in both Geneva and Astana meetings. ENKS has had relatively good and accepted relations with Turkey and the Syrian Coalition of the Syrian opposition, but not without problems. Kurds have had historically good relations with Russia and stood with Russians in many of its wars with the Ottomans. No doubt that Kurds are the weakest militarily in the equation but their long-time longing for their freedom is unbeatable, and they are very resilient despite all historical injustices, denial policies and genocides. Over 40 million Kurds in this world also have right to have a place under the sun and a corridor to live in it in peace and harmony with their neighbours. Kurds can be an element of stability and prosperity in the Middle East. Unitary states have failed. One hundred years of Sykes Picot’s forcible nation statehoods failed. Today almost the entire region is in a turmoil wasting their natural and human resources in unnecessary proxy and exhaustion wars.